a computer to do internet banking. Sigh. I went from traditional to high tech on the second day of my savings challenge for October. On day 1, I started with the simplest approach to saving, deciding to hoard every £2 coin I get in a good ol’ moneybox. Now, for my next small change, I headed online. The idea is that if you do internet banking, every time you check your current account, you transfer the odd pence (or even pounds) into a savings account. So if your current account balance is £273.56, you transfer 56p, or £3.56 if you’re feeling flush, into a savings account. Taking the more expansive approach would leave your balance at a nice neat £270. Think of it as the digital equivalent of the guy who always empties his pockets when he gets home, hangs on to the tenners, but dumps all the small change on the hall table. 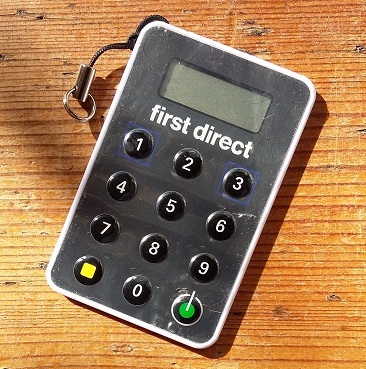 Direct debits and debit card payments are rarely for round numbers, so there should often be a small amount to transfer. Each of these little transfers adds up over time, so you gradually build some sneaky savings without ever missing the money. That’s the theory, anyway, and I’m willing to give it a whirl by checking the balance on our main joint current account every morning for the rest of October. As mentioned yesterday, I do try to channel as many payments as possible through our credit card, so we earn cashback. 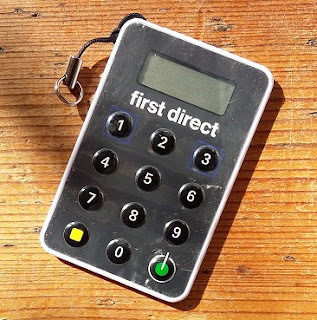 This means fewer payments flowing directly out of our main current account, as most of our spending is paid by a single direct debit to clear the credit card balance each month. Looking back at September, there were transactions roughly every other day. Quite a few involved taking money out of cash machines, which wouldn’t leave any odd pounds and pence to switch into savings. Also, I do wonder whether this method would actually be painless, where money is really tight. I suspect transferring even small amounts would be tricky for anyone counting every penny – it doesn’t create any new money. Tomorrow, I’d like to think about either spending less, or earning more, to free up extra cash to save. Anyone had any success with balance tidying, transferring the odd pounds and pence when you check your account online? Or do you prefer to stay well away from internet banking? I’d love to hear! I do something similar every month, when a little bit (a tiny piddling little bit) of interest is added to our savings account. I grit my teeth and transfer whatever is needed to round things up to add another £100 to our savings account. Oh interesting, so instead of tidying up your current account by moving money out into savings, you tidy up your savings account by moving money in from elsewhere. Sounds like a great recipe for saving larger sums than my current account approach!